Back Home In Derry Song Lyrics And Chords, Sheet Music tin whistle notes - Written By Bobby Sands. Original recording by Christy Moore. AS the (am) main sails unfurled the (C) curses we hurledon the (G) english and (D) thoughts of (Am). This is what Christy says about how he came about the song. I was playing in Derry and staying with The Barrett Family. After my gig we were gathered in Chamberlain St having a banter and drinking tea when a bit of singing broke out. A lad, just home from The Blocks, sang these verses and subsequently wrote out the words for me. 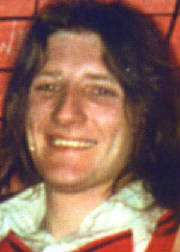 At the time the name Bobby Sands was not known to the world as it is today. The following night I played in Bellaghy where the same process took place when I stayed with Scullion. Later on he "sang" McIlhatton for me and told me it had been written by Bobby Sands with whom he had shared a cell while "On the Blanket". The name was becoming known to me.